My clients, a top-tier bank, is currently looking for Digital, Technology Change Management professionals. Multiple new headcounts are on offered as a result of their expansion in the APAC region. They are looking for experienced senior project managers who are interested in new, large-scale projects on a permanent basis. You will be joining a fast growing IT team with extensive exposure across different project initiatives. Experienced in budgeting, scoping, scheduling and driving projects from initiations to delivery. Strong stakeholder management skills in DRIVING Internal & External parties not limit to business users, vendors, regional stakeholders and IT team. Strong People Skills & problem solving skills. Introduce new methodologies and take the corporate into a real AGILE environment with Dev Ops Automation. FAST & QUALITY DELIVERY is what they are aiming at in an ever changing market. This is an definitely a “ CANNOT BE MISSED” opportunity for you to further your career in leading MNCs, and participate in some of the major IT initiatives in the next 5 years. 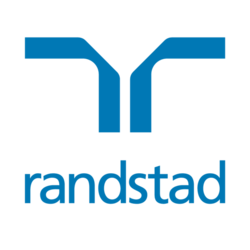 If you have the asipirations to work for the market leaders, "APPLY NOW" or submit your CV directly to Fiona Hui at fiona.hui (a) randstad.com.hk for a confidential discussion!